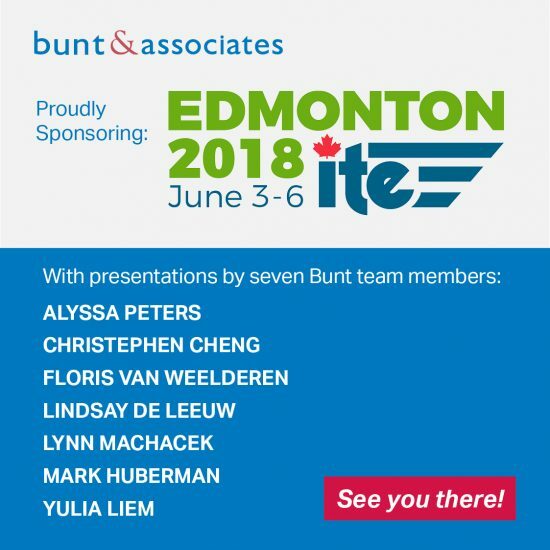 Once again, Bunt & Associates is proud to support the CITE Annual Conference. Taking place in Edmonton, Alberta, both local staff and others traveling from Calgary and Vancouver will be presenting a variety of topics. Check out the conference program.